Helle Carlstedt and Lenita Valencia López petitioned the city for a street pole at Rålambshovsparken. Their campaign was successful and the city decided to build Stockholm’s first street pole. Fast forward to this weekend when the Vida Street Pole was inaugurated with champagne and a photoshoot. With us was also a happy group of instructors from Vida Pole bracing the temperamental autumn weather. Cecilia Oldmark (@ceciliaoldmark) dressed for the occasion. 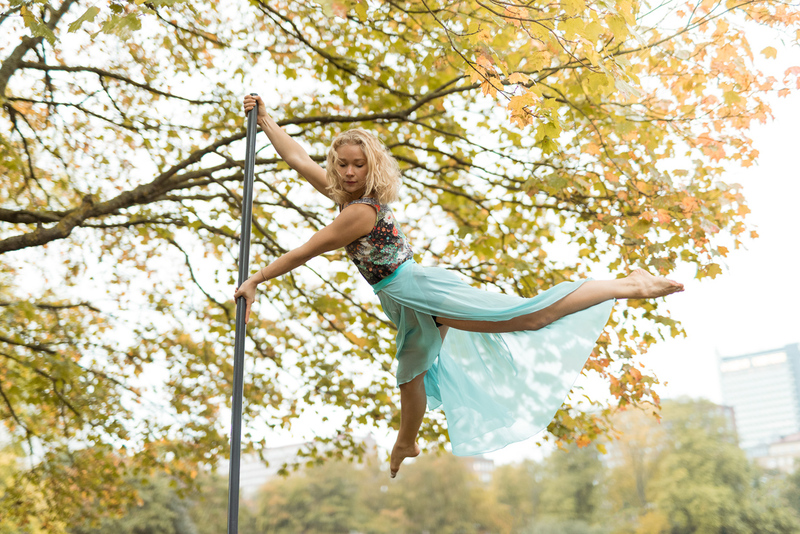 The Vida Street Pole is located right by the outdoor gym at Rålambshovsparken. Helle Carlstedt (@hellecarlstedt). Her bright outfit matched the surrounding colours perfectly. Alexandra Mellin (@flexialexis). For this photo I decided to remove the outdoor gym in the background using Photoshop, to create a cleaner image. Therese Larsson (@powerbytherese). Here I am shooting from a lower angle to try and get more of the leaves and less of the construction fence in the photo. Filippa K (@f1lippak). Did you know they make special training trousers that help you stick to the pole. Warm and functional, plus with a cool pattern, I like how it reflects a bit of the light. Therese Larsson and Chameli Lawrence behind the scenes. Chameli Lawrence (@polechami). Because it was raining I had a plastic bag over the camera. The D810 is weather sealed, but the part where the lens connects is a weak link. Here the plastic bag had crept up over the lens hood, creating a fuzzy look around the borders. 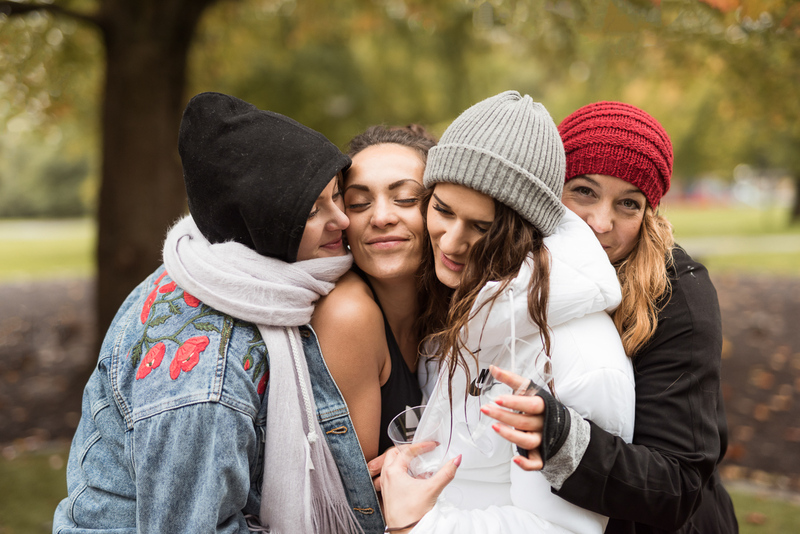 Keeping warm while waiting for the champagne to be poured. Celebrating with Champagne! 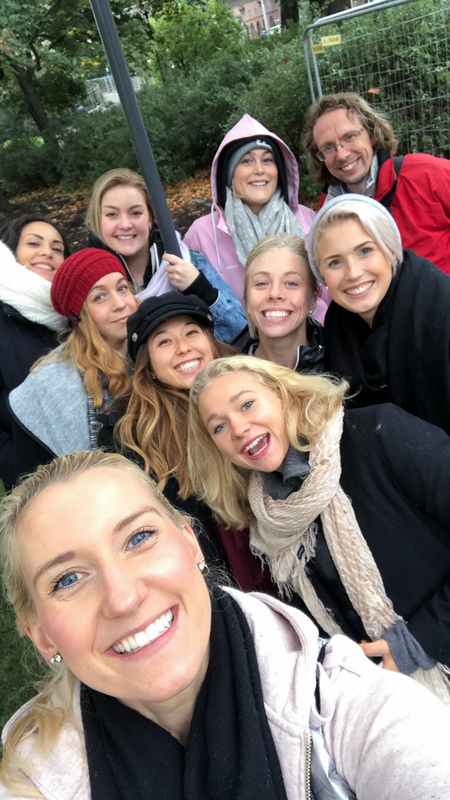 Sandra Omidvar, Lina Karlsson, Cecilia Oldmark, Chameli Lawrence, Filippa K, Therese Larsson, Alexandra Mellin, Lisa Scharp, Lenita Valencia López and Helle Carlstedt. Chameli Lawrence doing a superman. Lisa Scharp (@lisa.scharp), here I was overexposing the photo slightly while shooting from below to try and have only leaves as the background. Lisa Scharp flying off the pole. Lina Karlsson (@linapolerina) in a butterfly. Lina Karlsson elegantly sitting on the pole. Sandra Omidvar (@sandraomidvar). Great energy in this photo, and I love the colours. Group selfie by Helle. @hellecarlstedt, @lisa.scharp, @flexialexis, @powerbytherese, @lenitavalencialopez, @polechami, @f1lippak, @linapolerina, @ceciliaoldmark, @johanneshjorth and out of frame @sandraomidvar. Many thanks to Team Vida for a fun afternoon! 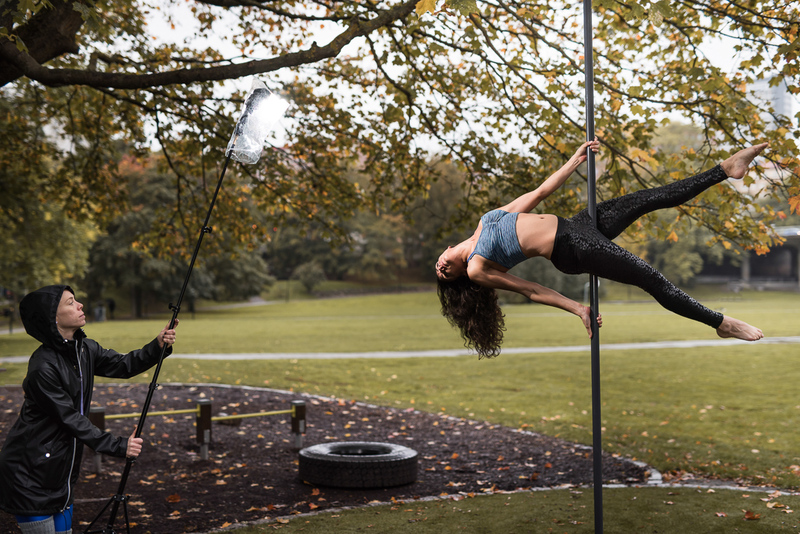 To see more pole dance photos, check the pole dance tag on the blog. Also check the Instagram accounts of the Vida Pole team (linked above).